S M Ong: Free McDonald's ice-cream! A sign of the (curry sauce) apocalypse? 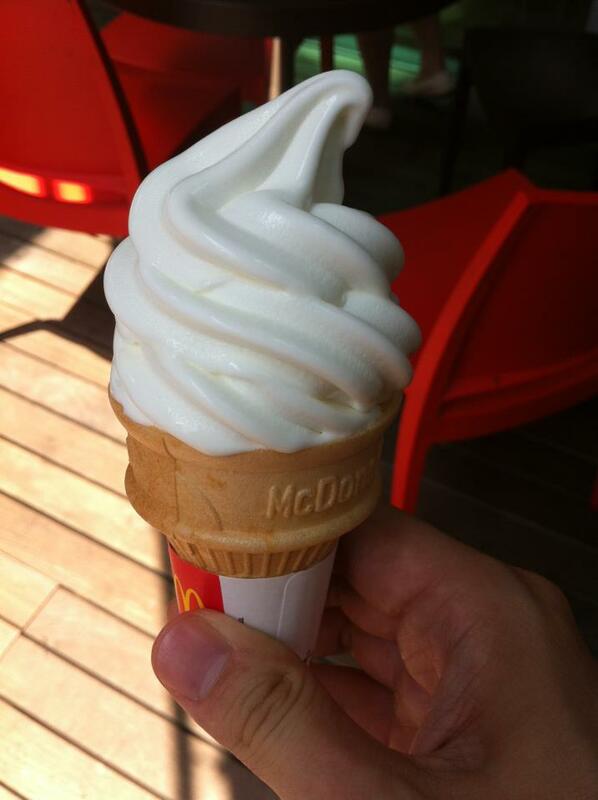 Free McDonald's ice-cream! A sign of the (curry sauce) apocalypse? So I ordered McNuggets at McDonald's during lunch today. I was given McNuggets and an ice-cream cone. I said I didn't order the ice-cream. I was told they're out of curry sauce, so they're giving me an ice-cream instead. Is another Curry Sauce Crisis imminent? According to Yahoo, McDonald's said in a Facebook post: "In regular product checks, we have noticed that a small number of samples from our most recent batch of Curry Sauce have had their packaging compromised. “We know many of you will be disappointed at this unfortunate situation, and we’d like to try and make it up to you in some small way. - 20 pc: 2 Apple Pies"